From contemporary and stylish to traditional and sophisticated uPVC windows, we can help you choose the design that best enhances your home and lifestyle. At BMW Windows we provide the Halo double glazed window range from VEKA, encompassing a variety of styles and finishes to help you achieve the perfect look with your new uPVC windows. 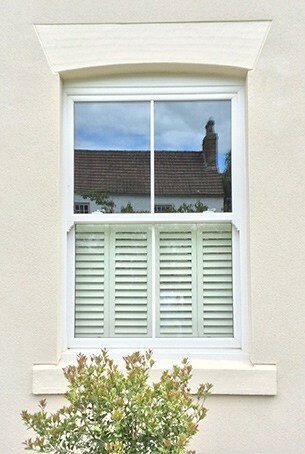 Our range of uPVC windows offers you great flexibility in the design of your home. Whether you are looking for a replacement window or wish to improve the look or efficiency of your windows, our expert designers are here to help you. You may wish to replicate the arrangement and style of your existing windows or, perhaps take the opportunity to create a totally different look. If you’re looking for something more traditional but with the benefits of modern energy efficiency, our uPVC casement windows offer beautiful designs ideal for Edwardian and Victorian period homes. If you’re looking to update your windows our flexible uPVC casement windows are a popular choice for modern and period homes with the benefit of adding custom-made configuration to suit your home perfectly. At BMW Windows our versatile, stylish and energy efficient uPVC Windows are manufactured in Britain with a 10 year guarantee, so you can rest assured that your windows are built to last. In addition to clean White uPVC finish, the VEKA Halo system is available in a wide variety of colours including Anthracite Grey, Cream and Black or a combination with White on the inside. The inherent strength and flexibility of the system allows a great variety of designs to be safely manufactured, from large ‘picture’ style frames to Georgian-style panels. What’s more, because the VEKA Halo system has been installed in thousands of homes over the years, we know what works – and what doesn’t! Whether you are looking to improve the energy efficiency of your windows, replace a broken or outdated window or create a new and exciting feature for your home, we offer the flexibility and variety to make your home improvement possible. Come into our new showroom in Chester-le-Street, County Durham to see our full display of uPVC windows. Our experts will be on hand to go through any questions you might have. We would be delighted to help you achieve the perfect look for your home; and turn your dreams to reality. Why not contact us to discuss your ideas or request a copy of our window brochure?